2. Click on the drop down box below Choose lens and select the desired lens. The minimum and maximum distance is given in Result. 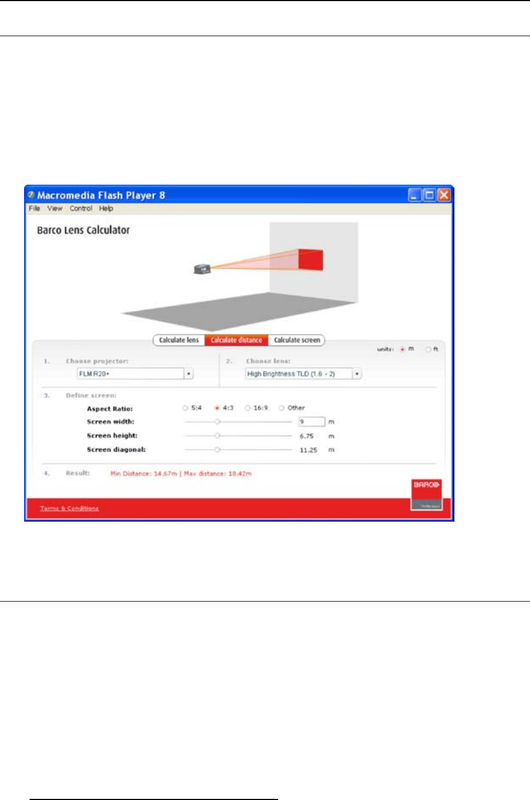 The default aspect ratio is ﬁlled out for the selected projector. The minimum and maximum screen width is given in Result.